KAMPALA– Experts and opinion leaders have poured cold water on efforts to put in place a constitutional review commission, saying there is no political will in the current government to see it work. 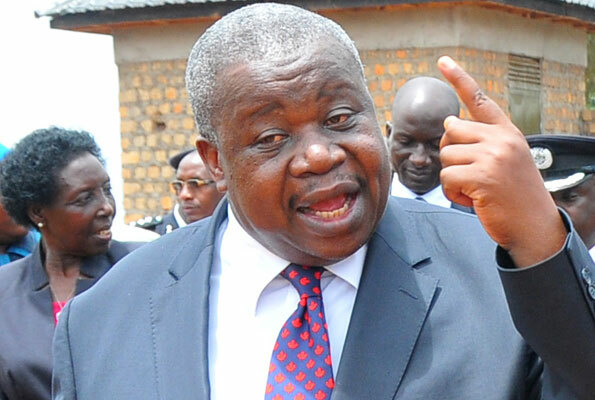 Sections of media have reported that the Justice minister Maj Gen (Rtd) Kahinda Otafiire, has nominated a 14-member team to review the Constitution with a view to harmonising the different sections on the backdrop of the Constitution Amendment Bill that saw the age limit for the President removed from the law books and a host of bills passed in recent years such as the Public Order Management Act. But experts said that there is no hope that recommendations by the team will be adopted given that those proposed by the Fredrick Sempebwa Constitutional Review commission of 2003 have never been implemented. “I believe that a constitution without the culture of constitutionalism can’t last long, otherwise, this country will start being pulled apart. The political will has got to be generated by people who must send a message that the constitution is being undermined,” said Democratic Party President Norbert Mao. “The only discussion for Uganda is the post-Museveni era. I strongly believe that Uganda’s biggest hindrance is President Museveni and the only question for Uganda is a peaceful transition of power. All substances have a boiling point, Ugandans just haven’t reached theirs but I can guarantee there is one. Not having a boiling point is totally unscientific. If you settle for the crumbs rather than fight for the whole loaf, then enough crumbs will be thrown in your direction to distract you,” he added. He was speaking during NBS TV headline political talkshow, the Front Line, hosted by Charles Odongtho and featuring the likes of outspoken MPs Odonga Otto (Aruu South) and Theodore Sekikubo (Lwemiyaga). Also present was Jude Byabakama, a city lawyer, and Ofwono Opondo, the executive director of the Uganda Media Centre. Byabakama said whereas Our constitution has a number of gaps that need to be revisited, he is very skeptical about the outcome of the review process. Ssekikubo said many Ugandans have lost interest in constitutional review given the circumstances under which the age limit for the President was removed from the Constitution. “The uncertainty within the country about how a leader should come and go, the transition from one leader to another has never been tested by the people. When all these happen, it’s only fair that people need to sit down and look for a way forward as a country,” he said. “The impetus in this whole process was removed in December last year(2017) when they plucked out the age limit which was so selling, right now, president Museveni isn’t affected anymore, he’s home and dry. The question here is, what is there in store for Ugandans? Once we are faced with many fundamental questions, ordinarily we would ask for a constitutional review but now that the bite was removed…,” he added. The legislator said that the actual Constitutional Review should involve all Ugandans and not just individuals. “If we are serious about the constitutional review, it doesn’t take one day. This is meant to be a harmonizing process, you set into process a program of traversing Uganda to find out what people need, how they need to be governed. How much time will be available for a comprehensive revise process to traverse the whole of Uganda and then come up with a report. I can tell you that the last 2 years of parliament life are spent on politicking. What makes me happy is that as long as I’m an MP, I don’t make demands on the people, let me do the best I can for my country well knowing tomorrow, I might not be on the stage,” Sekikubo said. However, Opondo said the Constitutional Review process in a democratic country like Uganda.